Poaching and habitat loss have reduced forest elephant populations in Central Africa by 63 percent since 2001. This widespread killing poses dire consequences not only for the species itself but also for the region's forests, a new Duke University study finds. "Elephants have a large effect on forests by eating or trampling slow-growing plants and opening the understory, allowing more light in and reducing competition for water and nutrients," Poulsen said. "These changes alter the recruitment regimes of tree species—favoring some and not others." To conduct their analysis, they reviewed 158 previous studies on forest elephant behaviors and their cascading ecological impacts. 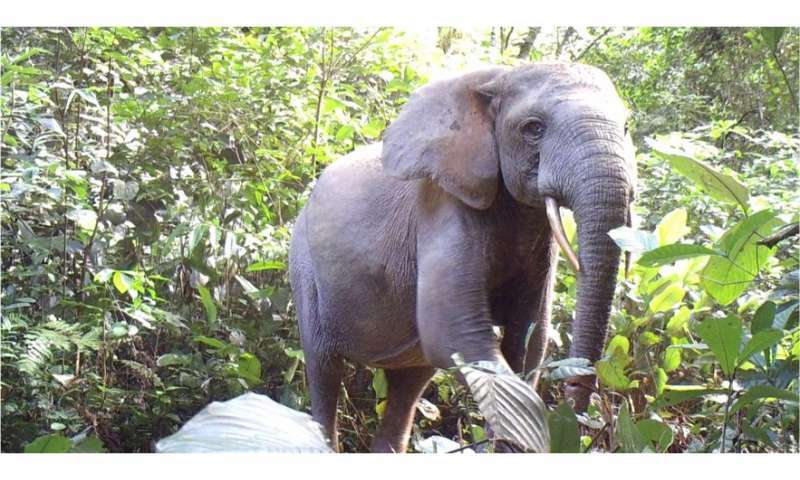 By cross-referencing these impacts with data on local elephant populations, forest tree-species composition and structure, nutrient availability, and understory growth in existing Central African forests—both protected and unprotected ones alike—Poulsen and his team determined that up to 96 percent of all forests in the region were susceptible to dramatic changes if elephant populations shrank or disappeared.